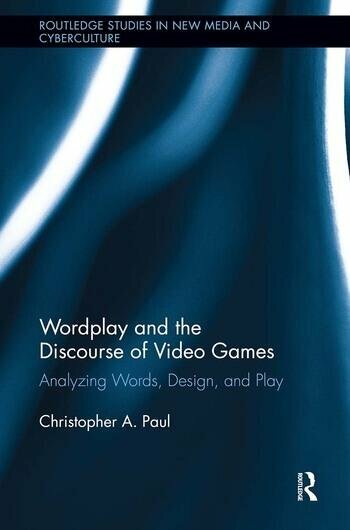 In this timely new book, Christopher Paul analyzes how the words we use to talk about video games and the structures that are produced within games shape a particular way of gaming by focusing on how games create meaning, lead to identification and division, persuade, and circulate ideas. Paul examines the broader social discourse about gaming, including: the way players are socialized into games; the impact of the lingering association of video games as kid's toys; the dynamics within specific games (including Grand Theft Auto and EA Sports Games); and the ways in which players participate in shaping the discourse of games, demonstrated through examples like the reward system of World of Warcraft and the development of theorycraft. Overall, this book illustrates how video games are shaped by words, design and play; all of which are negotiated, ongoing practices among the designers, players, and society that construct the discourse of video games. Christopher A. Paul is an Assistant Professor in the Department of Communication at Seattle University. His work applies rhetorical analysis to video games and has been published in Games and Culture, Game Studies, the Journal of Virtual Worlds Research, First Monday, and the International Journal of Role-Playing.